For many years, books about the parks were relegated to souvenir books filled with glossy photos and phrases or technical volumes produced solely for the most dedicated of fans, but not books that could be appreciated by everyone, including those unfamiliar with Disney’s collection of theme parks. 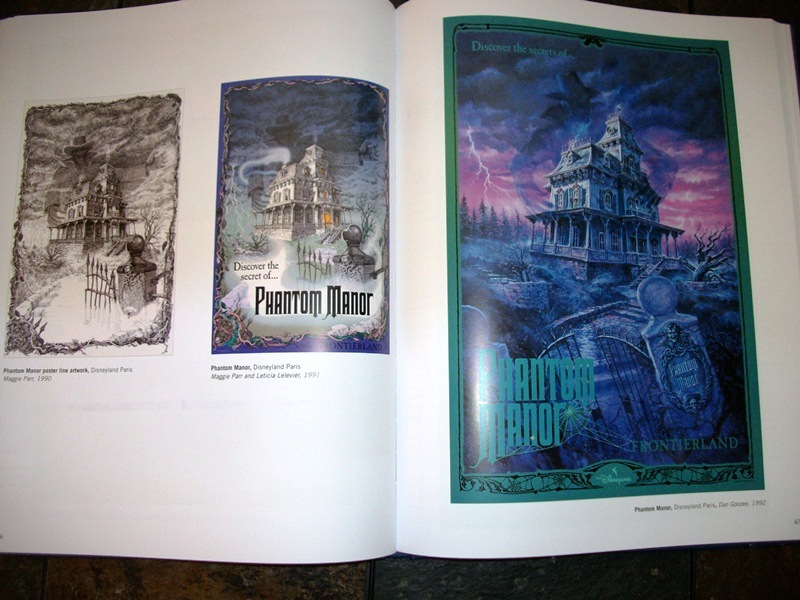 In recent years, however, there has been a movement to make books more accessible, the culmination of which is the recent release Poster Art of the Disney Parks. 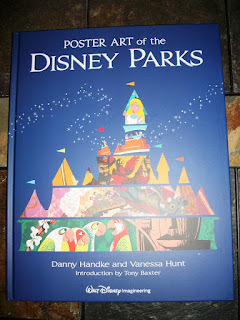 This oversized book was written by a pair of Imagineers, Danny Handke and Vanessa Hunt, who clearly have a passion for the parks and the art created by and for them. 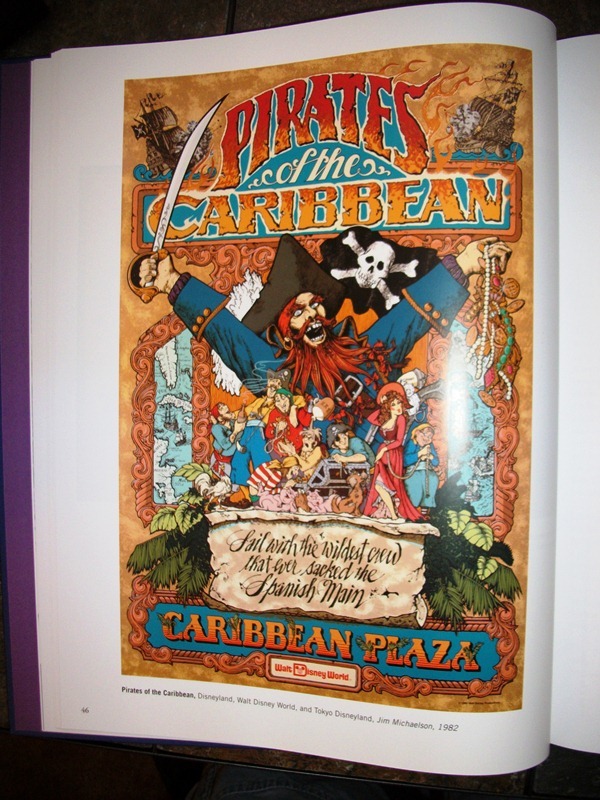 Poster Art of the Disney Parks divides its 146 pages amongst nine chapters with dedicated sections for the various lands of the Kingdom style parks (Main Street, U.S.A., Adventureland, New Orleans Square and Liberty Square, Frontierland, Fantasyland, and Tomorrowland). 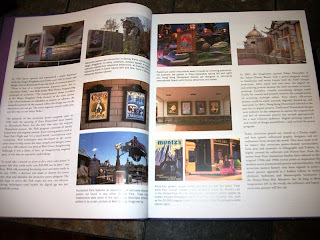 Additional chapters focus on Tokyo DisneySea, Disney California Adventure, and an introductory chapter exploring the process and history of the Disney posters. 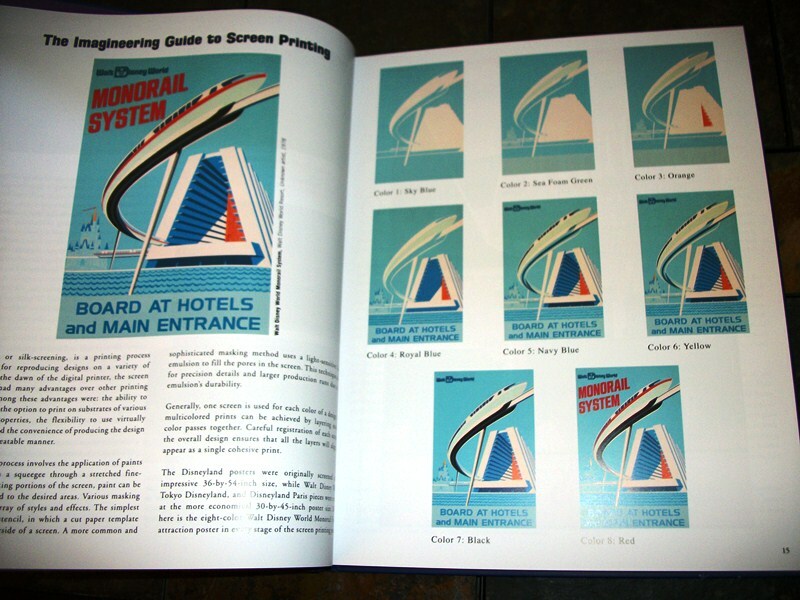 A majority of the book’s text comes from in the first chapter where everything from Walt’s park design mentality to the how a poster progresses through the printing procedure is given due page space. What I love most about this section is the study of where and how attraction posters have been displayed in various parks, including the coming attractions area of the Kingdoms, in marquees in front of their respective attractions, and even in Disney films! 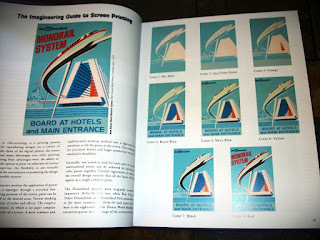 From there, each individual chapter introduces the land they are responsible for with quotes from Walt Disney, Michael Eisner, and Bob Weis, the thoughts behind some of the poster designs across the parks, especially where attractions are based in several parks, and the rationale behind the need for the posters at all. 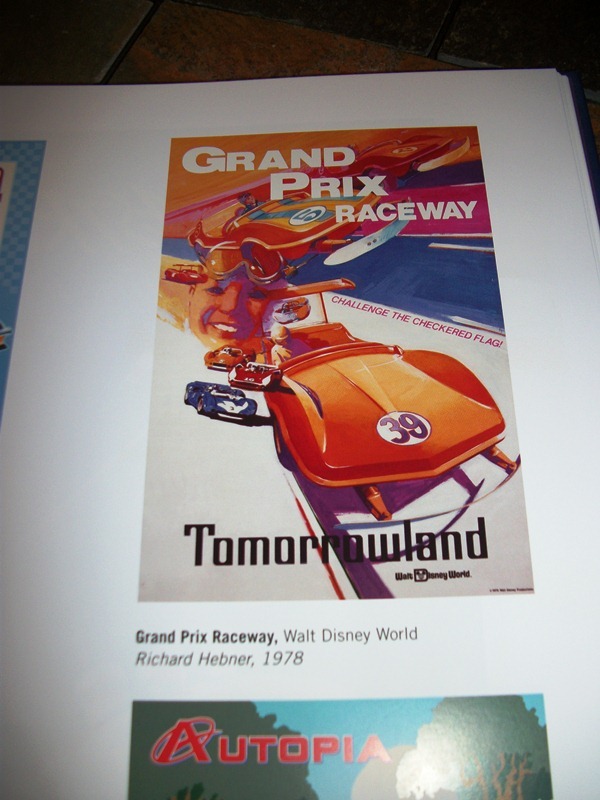 The true meat of the Poster Art of the Disney Parks, however, is the posters themselves. Each chapter is a stroll through the parks, both past and present. There are posters included here that I haven’t seen since my childhood, such as this one for the Grand Prix Raceway, that have been burned into my memories and are even more beautiful than I remember and I am so happy to see them again. Handke and Hunt do an excellent job of including as many posters as possible, only allowing for one poster where an identical poster, save the park’s name, is used in multiple parks. These dedicated Imagineers arduously uncovered and credited the artists where available and even showcased concept posters that never came to fruition or the concept to reality process for some of the posters they do have. 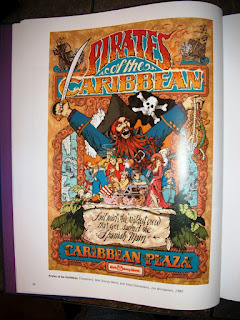 If I have to find one complaint of Poster Art of the Disney Parks, and believe me when I say this is splitting hairs, it is that I’d love to see each poster given the full page treatment. Of course we’d then be looking at a 500-page behemoth instead of the perfectly sized 146-page volume we have today. That’s only because I would love to be able to pour over the minute details in each poster, and not really using common sense. This art and history book has something for everyone. It can be used to ramp up the anticipation of a family preparing to make a trip to a Disney Park. It is an introductory lesson for artists looking to get into media advertising. It is a treasured walk through the parks for those of us who have spent so much time in and around the parks’ and their history. In the opening of Poster Art of the Disney Parks we are told that the posters are utilized to “entice, excite, and educate Guests with a preview of the adventures and experiences inside the Park.” If this is the goal of the individual posters, than this collection from Hunt and Handke is exponentially successful. 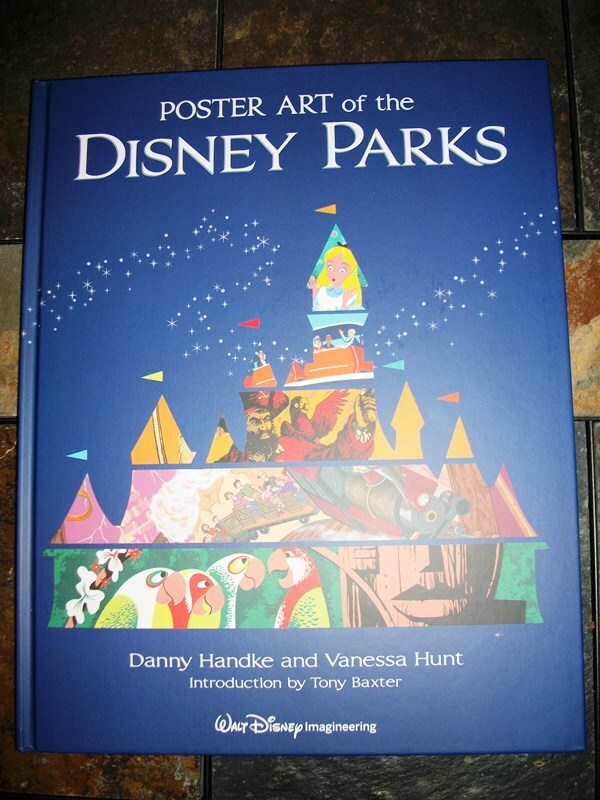 I highly recommend everyone rush out and pick up a copy of Poster Art of the Disney Parks just as soon as you can! Looks like I know what my souvenir will be when I'm at WDW in January for the 1/2 Marathon. Looks awesome! Sean - Definitely worth it! However, you don't have to wait until Jan, it is also available through B&N, Amazon, etc. Melissa - I know, I can't sing the praises of the book enough!